Disclaimer: This story is completely fictional without reference to any particular person, company or employee. Any resemblance or name approximating a real individual or company is purely coincidental. 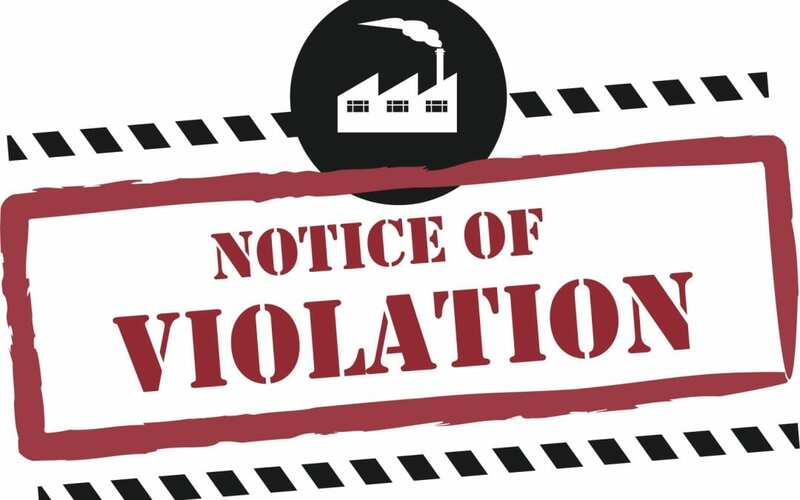 A Background Story of Multiple Labor Code Violations Leading to Penalties. Melinda worked for Busy-Body Industries to clean homes. Busy-Body had a written employment agreement with Melinda and 2000 other home cleaning persons in California. The agreement provided that all the Busy-Body employees were confirm their appointments the previous day by calling customers on a schedule delivered to the employee at the beginning of the week. The employees were also to call in just before and after each cleaning. Busy-Body required its employees to have mobile phones, and to subscribe to unlimited minutes through the wireless provider of their choice. Busy-Body paid a standard $2.00 per day to each employee for what Busy-Body designated as Mobile Phone Expenses. Melinda and all other housecleaners used their mobile phones at least six times per day for Busy-Body related business. Melinda’s monthly unlimited mobile phone service cost $130.00 per month. Using her phone for company calls did not increase her bill. Busy-Body also required its employees to purchase their cleaning supplies, and paid them a standard 40.00 per month as a set reimbursement based on a 12 month historical average for its 2000 employees. However, some employees worked in areas where the square footage of a luxury home required more cleaning agents than persons cleaning middle class neighborhoods. Busy-Body collected the cleaning person’s tip as part of the pre-paid pricing and charged the employee a $5.00 per transaction fee for collecting the tips. Employees were not permitted to receive tips directly from customers. Busy-Body used this method to track tips in order to make individual tax withholdings and contributions for each employee. Busy-Body also required each of its employees to launder and press their uniforms Employees not maintaining dress codes. As proof that uniforms were properly clean and pressed, Busy-Body required employees to scan and deliver a separate cleaning bill each week, but did not reimburse for these expenses. An employee not submitting an expense voucher for cleaning was fined a $15.00 “failed inspection” fee. Also, Busy-Body employees are required to pay for their own vacuum cleaners and replacement bags. They are allowed to use the vacuum cleaners for personal use. Busy-Body considers the vacuum cleaner a tool of the trade, similar to tools owned and used by a carpenter. A cleaning person when dispatched left his or her home to go directly to her first appointment of the day. There was no Busy-Body “home office” that cleaning people drove to or from when making their appointed calls. The Busy-Body corporate office is located in Tulsa, Oklahoma, with no office locations elsewhere in the country. Once a month, employees were required to attend a tele-conference which provided training, company news updates, and company feedback on customer demands, expectations, and satisfaction levels. Employees were expected to attend these conferences after their regular work hours while at their home computers, usually after 6:00 p.m. They were not compensated for this time, or the phone and internet expense incurred as part of these monthly meetings. When Melinda questioned the Company practice of being fined for the “failed inspection” fee when she cleaned and pressed her uniforms at home on her own time, her manager said to her, and all on the conference, that the dry cleaning service was the only way the company could track that the company “brand” was being presented by each employee. “Then we should be paid for the expense of the dry-cleaning,” Melinda said. “You paid for the uniforms, and can wear them for personal use. It is not a company expense,” her manager had told her during the phone conference. “The logo is very attractive,” her boss told them. You should be proud to wear it for personal use. Within a week after her comment, Melinda’s employer called her to say her services were no longer needed, and tor return her company documents and uniform. Melinda pressed for an answer why she was being terminated. This issue has been resolved in California by the Cochran decision. The employer cannot defend itself by the argument that it cost no more for the employee to use the phone. The court shifted focus to the benefit received by the employer, and required a factual inquiry into the average likely ratio of personal to employer use of the airtime. The employer owed the employees a percentage reimbursement of personal expenses incurred for the employer’s business. Then the question is whether $2.00 per day for every employee is a fair and reasonable calculation of the likely personal to business use ratio. An employer is allowed in California to use an optional method of estimating costs instead of paying the exact dollar amount based on individual expense reports but there must be a close approximation based on evidence of real costs. An employer may want to follow this optional approach because of the difficulty and time associated with individual reporting. In this instance, if the unlimited plan costs $80.00 per month, and the employees use their personal plans between 30% to 50% of the time for business, and a random check of business calls on the phone records support that range, then 40% could be a reasonable and fair reimbursement, as any one employee in any one month could use the phone more or less than the midpoint. Melinda’s typical use is six times per day business use at 10 minutes each or 60 minutes per day. She uses the phone for personal reasons about 10 times per day at 20 minutes each or 200 minutes. The ratio of business to personal is 60:200 or 30%. At $130.00 flat fee, she should be getting $39.00 per month reimbursement. $2.00 per month is clearly inadequate. California Labor Code Violation: Cleaning Supplies and Equipment. Busy-Body pays a standard reimbursement rate $40.00 per month for cleaning supplies based on a 12-month historical average for its 2000 employees. Is this formula supportable by evidence showing that individual employees are being adequately compensated? The cleaning cost appears reasonable based on the depth of the data over 12 months, but Busy-Body may need to sub-classify its employees into the “big home” neighborhood group and the “moderate home” group, as each set of homes will have its own “cost of supplies.” The more refined and specific the formula, the more likely it will be upheld as a legally sufficient approximation of actual costs. The vacuum cleaners are tools owned by the employees who retain them in their personnel possession and are free to use them for personal purposes as well. They likely are not reimbursable expenses. But what about replacement bags and belts related to wear and tear for employer benefit? Those costs are arguably reimbursable because the volume of bag use for business is so much greater than for personal use. Busy-Body employees, for example, routinely use and dispose of at least one bag per home cleaning. Each employee cleans between 1 or 2 homes per day five days per week. Busy-Body could be left holding the bag for unreimbursed expenses owed to 2000 employees, including penalties, and attorney’s fees. Passing this cost onto the employee would be illegal. In California, tips belong exclusively to the employee. Businesses routinely collect and distribute these tips. Most customers add the tip not as a separate payment to the employee, but as a component of the overall authorized card charge. Tip collection and administration is a cost of business to be absorbed without offset to the employee. Moreover, Busy-Body is required by law to treat the tip income as regular wages and subject to UI, ETT, SDI, and PIT withholdings. Busy-Body must therefore include the deductions in its paystub itemization. This itemization would include a category of “tip income,” or like wording. Failure to report, distribute and withhold all have tax and California Labor Code penalties for non-compliance. California employers who require their California employees to wear apparel unique to the employer’s brand by such features as color, style, design, or logo are must pay the costs to obtain and maintain the work related clothing. If the employee advances the cost, the cost must be promptly reimbursed. In California, uniform cleaning and maintenance other than simple home laundry must be reimbursed to the employee. If the employee is required to spend time at home to meet specific care requirements of the employer, such as ironing, the “reasonable value of the time” used can be paid as an extra pay “allowance.” If the employee is required to incur outside laundry and pressing services, as might be the case with a dry cleaner, the actual employee expense must be reimbursed. Busy-Body employees are required to wear clothing having the company logo, and are required to pay a “fine” if the clothing is verified as clean and pressed by a drycleaner. Busy-Body is required to reimburse these costs. Further, imposing a “fine” for non-compliance is an improper deduction from wages unrelated to an employee’s willful or grossly negligent damaging of company property. The fine operates as a “charge back” against earned wages in violation of Labor Code Sec. 221. Busy-Body employees have no “home-base,” that is, no place they predictably report to work, such as a staging area or corporate office. Instead, their schedule takes them from their private homes to a scheduled customer location often different each work day. The usual rule is that commuting expenses are not reimbursable travel expenses, but Busy-Body employees have no “commute” from home to first work location. All their work related driving expenses are therefore reimbursable. To reinforce this conclusion, the Busy-Body corporate office is out of state with no satellite offices. There are 2000 Busy-Body employees across the country, each with a different set of distances actually traveled. Busy-Body must reimburse actual individual travel expenses, portal to portal, for each employee based on expense vouchers submitted. California case law recently allowed employers the option to pay a standard travel expense payment without regard to specific recorded expenses but only if the formula has a rational and proximate relation to actual expenses. Most companies use the prevailing IRS mileage reimbursement rate as an acceptable rate to cover gas, insurance, and maintenance. This rate, coupled with data showing the average travel range in various regions of the country (requiring Busy-Body to sub-classify its employees) could satisfy California law and reduce employer administrative costs. Melinda is an employee “at-will” but that status is irrelevant to the likely reason for her firing in this case. She had a good work record. Her first friction with Busy-Body was when she questioned the propriety of laundering Busy-Body required uniforms. She was fired a week later with no explanation. The firing was illegal because Melinda protested an issue covered as a “fundamental right” in California: payment of wages and expenses. California allows this “cause of action” to be heard by a jury if Melinda reasonably believed the violation of law occurred, and in some manner complained to the employer about the illegal practice. The short time between between complaint and firing, coupled with her good work record, is strong circumstantial evidence that Busy-Body’s motive was to punish or silence Melinda. Strength in Numbers: California’s Private Attorney General Act [PAGA]. California has a unique law that appoints private attorneys to prosecute cases on behalf of the State of California, Department of Industrial Relations, Labor and Workforce Development Agency. This Act is labeled California’s Private Attorney General Act [PAGA]. PAGA is so powerful because it gives an enforcement energy that was almost completely lacking given limited agency resources. This lack of resources, and the widespread scope of abuses, led the California legislature to basically allow private attorneys to be “Attorneys General” for the good of the public. A powerful incentive of the law is that these private attorneys can recover penalties from employers, and recover attorney’s fees incurred in prosecuting the case. The recovered penalties are divided between the State and the employees. But one aspect of the case unlike a state action is that an employee brings the suit on behalf of multiple other employees who are invited to join the lawsuit. The corpus of money recovered is then held to be claimed by the employees after the State gets its share. Many PAGA cases will settle before trial, and the State is often willing to compromise its share of the total recovery to less than the statutory 75% in order to facilitate the settlement. The Private Attorney General must notify the Labor and Workforce Development Agency [“LWDA”] in detail concerning the nature of the proposed civil action, and the employer must be notified before suit with the opportunity to correct the alleged violations. If the LWDA declines to sue on the matter, and the employer does not present timely “cure” of the violations or conditions, then the individual employee represented by private counsel may proceed on behalf of the State of California and the employees to collect the penalties. Labor Code Section 2699 defines a hefty penalty: for most employers the fine is $200.00 for each aggrieved employee for each pay period in which a violation occurred. There is a one-year statute of limitations from the date of the last violation in a series to collect penalties. 26 pay-periods times $200 = $5,000 per year per employee X 2000 employees =$10,400,000.00. The Technical Issues Related to a PAGA Case. Does PAGA have to meet class certification requirements applicable to the standard Class Action case. How much discovery is required at what stage of a PAGA case for a court to determine the scope of the PAGA claims? [It appears that the Courts are following the trend begun in class action certification motions to include evidence obtained in an individual arbitration proceeding to determine the probable merits of the claims, but there has been no appellate decision published on this question as yet.] Discovery will be accelerated on the individual claim to meet the burden of proving that claim in Arbitration. What is the standard of proof for PAGA damages when each employee may have been damaged somewhat differently, but within a probable range of minimum to maximum loss? The answer has been given in the “Duran” case. Statistical evidence is admissible to arrive at an acceptable probable amount of damages despite individual employee variations if the probable number is arrived at an expert following generally accepted statistical methods with adequate sampling. Whatever the method adopted by the Court, it must allow the Defendant fair opportunity to attack the methods used or the sampling relied upon by the employees. Busy Body will have a busy time in Court. The list of its employee rights violations is long: unpaid mobile phone expenses; wrongful assessment of employee penalties to reduce wage payments, failure to reimburse uniform laundry expenses, unpaid expenses for supplies needed to do the work; unpaid travel expenses, failure to deduct and itemize tips and taxes withheld; unpaid work hours for mandatory training. Each of these violations carries penalties set by statute, and if fully assessed against Busy-Body, will result in tens of millions of dollars in damages if the Court allows the case to proceed as a PAGA case, or if the case qualifies as a class action unrestricted by an arbitration agreement. The freedom to proceed with a PAGA case is under attack by the employer community. To the extent the courts are inclined to impose class action case management tools in a PAGA case, the freedom to proceed subject only to the PAGA notification requirements seems at risk currently. Still, Melinda and Busy-Body may well have a complex and costly battle that will end with millions paid or lost. Melinda herself will proceed on her own case for wrongful termination because of retaliation when she opposed some of these illegal practices.